October 14, 2009 (San Diego's East County)-- Animal Control Officers rescued a Muscovy duck that had been shot five times with a crossbow this morning at Chollas Lake in East San Diego, near Highway 94. The duck, with the arrows still in its body, was transported to the County’s Animal Shelter on Gaines Street. One of the arrows penetrated the bird’s head so a special avian veterinarian will be examining the duck to see if the animal’s life can be saved. On Thursday, October 22, the Judicial Reform Committee of the United African-American Ministerial Action Council (UAAMAC) will host a town hall meeting on Califiornia’s three strikes law to encourage a change in sentencing practices. Panelists will include Karen Bass, Speaker of the Assembly, Assembly member Lori Saldana (D-San Diego), Bishop George D. McKinney, Frank Courser and Sue Reams, Families to Amend California Three Strikes. "In these trying economic times. it is imperative that we examine these laws,” UAAMAC’s press release states. California's Three Strikes Law is the toughest law in the nation; California incarcerates four times more inmates as all other three strikes states combined. Supporters of the laws note that a small percentage of offenders are responsible for the majority of crimes. But a growing number of people now argue that California's law has gone too far, locking up not only violent repeat criminals, but also imposing life sentences on people guilty of nonviolent offenses such as shoplifting. October 10, 2009 (San Diego)--San Diego County Crime Stoppers, in conjunction with the San Diego Police Department Homicide Unit, family and friends of Guillermo Esparza, are asking for the public’s assistance to help identify and locate the person(s) responsible for his murder. On Saturday, October 10, 2009, at 5:00 p.m., Family and friends will hold a candlelight vigil at the scene of the crime, 7300 Paradise Valley Road, San Diego, near the Paradise Valley Road intersection. October 9, 2009 (Lemon Grove) --Sheriff William D. Gore today announced deputies from the Lemon Grove Station will be conducting a DUI/Drivers License checkpoint this weekend. 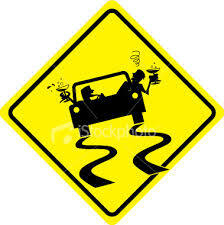 The message for the beginning of this fall season is that drunk driving will not be tolerated. October 6, 2009 (La Mesa) – Two men robbed a transient of his pants and wallet on October 4 at approximately 9:32 p.m. One suspect was located by La Mesa Police officers within minutes after the robbery and assault. The second suspect, a Hispanic man who goes by the name "Alexi," is still outstanding. He is described as approximately 21 years old, weighing 165 pounds. October 2, 2009 (Santee)—San Diego County Sheriff William Gore today announced the arrest of two male juveniles accused of making false bomb threats at West Hills High School. September 30, 2009 (La Mesa)--At approximately 1:50 PM on September 28, 2009 a man called La Mesa P.D. from the Kaiser Hospital in San Diego to report that he had been robbed walking home from a local bar early Sunday morning. Assailants beat the man and reportedly left him unconscious. La Mesa Police contacted the male victim at the Kaiser Hospital on Zion Ave. A reward is offered for information leading to arrest and conviction of his attackers. UPDATE: NEFF ARRESTED: The suspect was apprehended this afternoon(Sept. 17) by the San Diego Fugitive Task Force, the Sheriff’s Department reports. He was arrested at 425 W. Beech Street in the Little Italy neighborhood of San Diego and will be booked into Central Jail. San Diego News Network reports that Neff surrendered peacefully.Below is our story including interviews with an eyewitness and family member of the victim shortly before Neff's arrest. In an exclusive interview, San Diego's new top law enforcement offer shares his goals with East County Magazine--including priorities and new initiatives for East County. Appointed to replace retiring Sheriff William Kolender, Bill Gore brings 42 years of law enforcement expertise to the job. As Assistant Director of the FBI in Washington D.C., he earned a Meritorious Executive Service Award from the President. He’s led efforts to bring down organized crime rings including the Triads and Yakuza, helped break up the infamous Arellano-Felix Drug Cartel, and intervened to halt airplane hijackings as a S.W.A.T. team member. (Read his harrowing account here.) In San Diego, he established the Joint Terrorism Task Force and developed the nation’s first regional computer forensic lab—which has since been replicated nationwide. After leaving the FBI, he served as Chief Investigator/Special Assistant to District Attorney Bonnie Dumanis. As Undersheriff, second in command under Sheriff Kolender, he revised use-of-force policies, implemented a mobile ID system and improved public transparency. Now as Sheriff, he’s set his sights on his most ambitious goal yet: to make San Diego the safest urban county in America. September 8, 2009 (San Diego’s East County)--William D. Gore, Sheriff, San Diego County, today announced a manhunt initiated by the San Diego Fugitive Task Force to locate Richard Dean Neff. Neff is suspected of a murder which occurred in La Mesa early yesterday morning. Neff, a transient and known drug user, according to the Sheriff's special bulletin, is considered to be armed and extremely dangerous. September 5, 2009 (La Mesa) – Detectives from the East County Gang Task Force arrested Maurice White, a 23 year old black male from the City of Vista, on September 2 for the shooting at the Heritage Inn Motel that took place on August 23, 2009, in La Mesa. August 30, 2009 (La Mesa) -- At 2:54 this morning, La Mesa Police officers responded to a report of a pedestrian robbery in the 9500 block of Murray Drive, La Mesa. August 27, 2009 (San Diego’s East County) – Two girls missing since Friday have returned home, police now report. The teens left home voluntarily and no charges have been filed, according to police. August 25, 2009 (La Mesa) -- Surveillance photos and video of a shooting suspect and his vehicle have been released today by the La Mesa Police. The suspect is wanted for alleged attempted murder at the Heritage Inn, 7851 Fletcher Parkway that occurred on August 23, 2009. August 23, 2009 (La Mesa)—Shortly after midnight, at around 12:43 a.m., a man was shot at the Heritage Inn, 7851 Fletcher Parkway, La Mesa. When police arrived they found a twenty-two year old Hispanic male, who had been shot three times, in his vehicle in the parking lot. The man was taken to Sharp Hospital, where he underwent surgery. His condition is unknown at this time. August 13, 2009 (La Mesa) -- At 3:20 p.m., a lone suspect entered the Ralph’s Grocery Store, located at 8800 Grossmont Boulevard in La Mesa, and approached a teller at the Wells Fargo Bank kiosk. The suspect drew a large frame, semi-automatic pistol from his front waistband, slammed the gun on the counter, and demanded cash from the teller. Identity theft can be devastating. The costs associated with identity theft have surpassed that of the drug trade. According to USA Today, the number of victims is expected to increase 20 fold over the next few years. July 29, 2009 (San Diego)--Join Crime Stoppers, Target and the Salvation Army Kroc Center for the free National Night Out Against Crime. Meet your neighbors and enjoy giveaways, games, face painting, live entertainment, police K-9s, rockclimbing, balloon animals, community booths and more. Update 4 p.m. - The Sheriff's Department has notified us that the family reports the missing boy and his sister are now en route home.